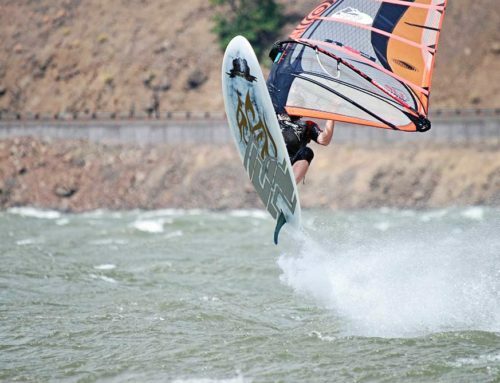 WHY WE WINDSURF – WHAT CGWA IS – & HOW IT HELPS – Columbia Gorge Wind & Water Assoc. What is it about the sport of windsurfing that keeps us going, year after year, chasing wind throughout the Gorge and across the globe? How changing and challenging it can be – from morning to afternoon, different times of year, at different beaches, in different conditions? The kind of cool outdoor people it brings together? The way it tests you and makes you grow? How it thrills you with wild speed, big air, beautiful scenery and grand adventures? How it connects you with nature, water, cliffs and Gorge river cultures? How it infuses us with STOKE? WHAT DOES CGWA DO FOR WINDSURFING, ANYWAY? I’m involved in CGWA because it’s a non profit with the sole focus of helping my favorite sport – improving windsurfing access in the Gorge – improving beaches, educating youth – and hosting watersports events that bring us together to celebrate the Gorge lifestyle and our love of wind and waves. CGWA has been a non-profit working to help windsurfers have more fun, and have better access to Gorge beaches, for 29 years. Next year, CGWA turns 30! We are a member-supported community benefit organization. Our latest project is the addition of steps at the middle launch of The Hatchery. The Hatch’s rocky launch is tricky on a good day and getting out with dignity when you’re spent from sailing is even harder. Our project has been in permitting review with WA State Parks and the Army Corps of Engineers for more than a year and we’re committed to enhancing access at this epicenter of Gorge windsurfing. The goal is to make water entry easier and safer – for you and your gear. CGWA also bought and maintains Swell City, a sailing spot on the Washington side just west of the Hatchery. We were able to do this, thanks to the real estate savvy of Sean Aiken, hard work by our staff and Board – and using BNSF mitigation dollars we manage for the windsurfing community after railway impacts changed Doug’s Beach. CGWA’s Groms program for kids and our new A Team training program for teens is helping to bring young people up through the sport – which is essential to keep the sport healthy– and to give kids a healthy outdoor lifestyle boost. We partnered with Hood River Port and Hood River Parks & Rec to add the new windsurf/SUP ramp access on the west side of The Hook. This launch adds new access for water sports and opens up sailing access to the corridor. We ponied up $70,000 to support this project. 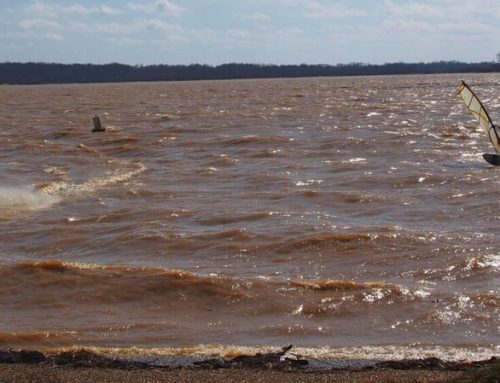 The west Hook launch offers Windsurfers and SUPers an important next step after graduating from the Hook pond – this new launch gets you on the river, while staying away from barge traffic as you move up in the sport. It’s windier and more open than the Hook and it’s a nice step up. When you’re ready to hit the main Columbia, just head on out from the protected inside area between the Hook and Wells Island. Events like Beach Bash (the event formerly known as WindFest,) Gear Swap Meets, King of the Hook, Pray for Wind Party, Freestyle Frenzy and End of Season Party and awards fan the windsurfing stoke. Hosting work parties and sponsoring periodic improvements at Rowena, The Hatchery and other Gorge beaches. Signage, maps, advocacy and education about local sailing sites and enhancing watersports access. Hopefully we see you at CGWA events – but even if we don’t, your annual CGWA membership, gear or cash donations, business sponsorships – help CGWA continue its important work– as it has for 29 years – ensuring the viability of Gorge windsurfing, now and for future generations. THANK YOU for your support of CGWA – here so that all of us – and all those to follow – can continue to sail away!